The 3rd SOLARNET / 7th HELAS / SpaceInn international conference “The Sun, the stars, and Solar-stellar relations” will take place in Freiburg (Germany) between 31 August – 4 September 2015, organized by the Kiepenheuer-Institut für Sonnenphysik (KIS). SOLARNET (High-resolution Solar Physics Network) is an international project promoted by the European Association for Solar Telescopes (EAST) and funded by the European Commission FP7. HELAS is the European Helio- and Asteroseismology Network, which aims at coordinating the activities of the research groups active in helio-and asteroseismology. The purpose of this conference is to discuss the latest questions and results in solar and stellar physics. Solar and stellar seismology will be one particular focus but contributions on all aspects of solar-stellar relations will be welcome. We aim to establish links and synergies between the day- and night-time fields of astrophysics. In detail the following topics will be addressed in individual sessions as showed in the Scientific Program. Furthermore new and upcoming projects and missions shall be presented. Graduate students and early-career postdocs are particularly invited to participate in the conference to present their research work and to meet and discuss with their more senior colleagues. A limited amount of financial resources shall be available to grant travel support. The conference poster can be downloaded (7MB) here. We are pleased to announce the SpaceInn Group Meeting Workshop “Peak-bagging in Helio- and Asteroseismology” to be held in Tenerife on 11-13 March 2014. The aim of the workshop is to bring together active researches in these domains to contribute to define and to establish the proper methodology to achieve the goals associated with some of the deliverables of the “Global Helioseismology” work package of the Spaceinn Project. The workshop will take place in the Sandos San Blas Hotel Reserva Ambiental, in the village of San Miguel de Abona, South of Tenerife. On this webpage you can find more information on the scientific program, the venue, and how to register and make the hotel reservation. We hope to welcome many of you in Tenerife! 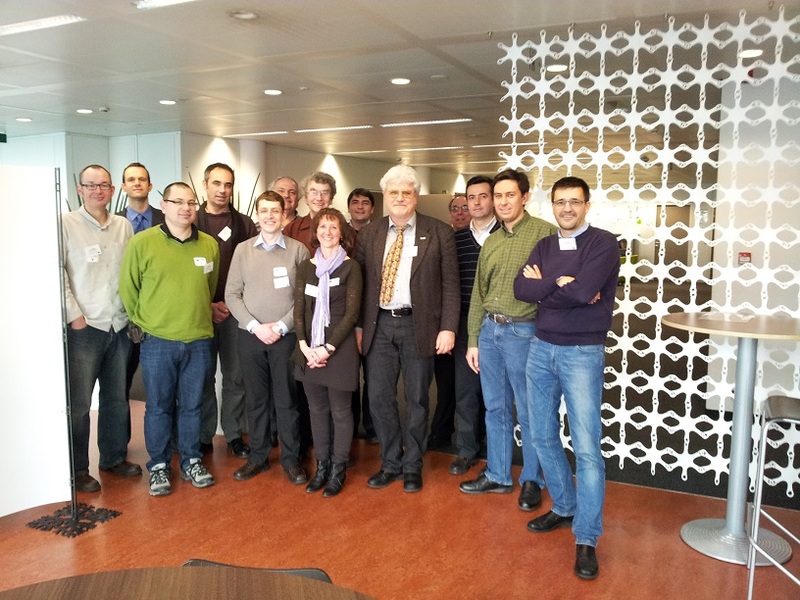 The SpaceInn Kick-Off meeting was held on February 19, 2013 in Brussels on the premises of the Research Executive Agency (REA).